Calls for such extreme measures were buttressed by what in retrospect is best characterized as “junk science” – the misrepresentation or selective use of scientific data to support particular personal, ideological or institutional interests. The new “cocaine experts” rode the crest of that moral panic, warning from every media venue that an “epidemic” of cocaine-exposed infants was creating a “lost generation” devastated by the havoc prenatal cocaine exposure was wreaking on their development. Many addiction professionals of that era, including this author, became unwitting accomplices in disseminating such views based on what seemed to be the best science available to us at that time. After all, everything we had learned on this subject had been cloaked in the mantel of science. We read the professional articles from scientific and professional trade journals. We listened intently to the physicians, psychiatrists and others who we trusted to give us credible information. And then we disseminated that information throughout our local communities and to the individuals and families being served within our treatment programs. There was just one problem: those claimed effects and those dire predictions related to prenatal cocaine exposure were simply wrong. As inevitably happens, “real science” progresses, in this case in the form of well-designed longitudinal studies that separated out prenatal drug exposure from all of the other untoward insults so frequently experienced by poor infants and children. The results of those well-designed studies challenged and then discredited all of the prevailing wisdom on prenatal cocaine exposure. Unfortunately, only rarely did these new findings reach mainstream media outlets. Where promotion of the junk science had been ever-present in the popular media, few of those media outlets made visible retractions based on the new scientific findings. (Apparently, moral panic draws more cultural attention and sells more products than the cold conclusions of scientific consensus.) But there have been and continue to be exceptions to this tradition of silence. On July 23, 2013, the Philadelphia Inquirer, ran an article by Susan Fitzgerald entitled “Crack baby” Study Ends with Unexpected Result. The article summarizes the results of separate longitudinal studies of pre-natal cocaine exposure conducted by Dr. Hallam Hurt at Albert Einstein Medical Center in Philadelphia, Dr. Claire Coles at Emory University in Atlanta and Dr. Deborah Frank at Boston University. 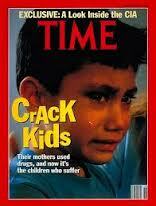 3) follow-up studies of cocaine-exposed children suggest enormous capacities for resilience. While these conclusions have appeared in scientific papers for years, it has been encouraging to see leading newspapers and other media finally reporting the findings of these more methodologically rigorous studies. This week, Susan Fitzgerald and The Philadelphia Inquirer admirably broke the tradition of silence that has too often plagued this subject. So where does this tale leave the addictions professional? I would offer five brief points of guidance. 1. Recognize the existence of moral panics related to new drug trends and maintain a healthy skepticism of all alarmist information being promoted during such periods – even when it seems to come from credible sources. Information emanating from the earliest stages of moral panics is notoriously unreliable. The objective voice that will stand the test of time is the one least likely to be heard at the height of a moral panic. 2. The fact that a piece of information has been published in a scientific or professional journal does not in itself mean that this information has been scientifically validated. Early reports may not hold up to more methodologically rigorous studies. The way of science is that all knowledge is on probation pending further investigation and new discoveries. 3. When you find you have been an accomplice in the dissemination of misinformation, do everything you can to correct what you have disseminated and correct it within the specific venues in which it was originally presented. Remember, those you originally communicated with may be continuing to act on the misinformation you provided; harm may be continuing to unfold. Consider this correction process a highly ethical form of professional amends. 4. When alarmist voices are fanning the flames of cultural hysteria (often in pursuit of their own personal or institutional interests), bring your professional calmness to bear on this situation by tempering calls to impulsive action with more reasoned approaches to problem assessment and problem resolution. Always ask, “Are there any unintended consequences that could flow from what is being proposed?” There is a long tradition of harm in the name of help in the history of addiction treatment and recovery support. One of the major goals of our professional careers should be to avoid to the greatest extent possible participating in this tradition. 5. Moral panics have a way of turning people into objects that need to be extruded from the life of the community. It is in this climate that the most awful things can be perpetrated in the name of the most noble of values. Protest any emerging labels that turn people into things. As my friend Don Coyhis reminds us: Words are important. If you want to care for something, you call it a “flower”; if you want to kill something, you call it a “weed”.